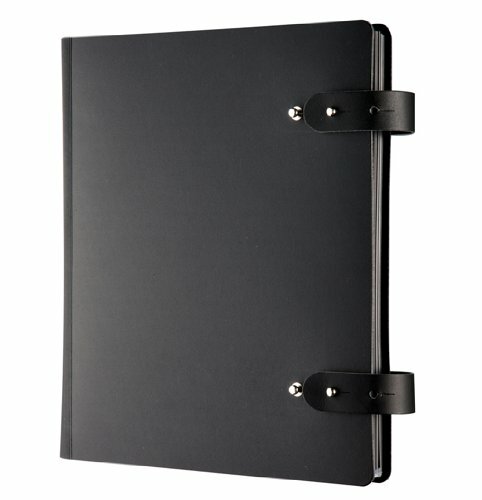 The 17X11 inch Pampa 163 Spiral Book has a black leather cover and two lapet closures with two silver studs to make the gusset adjustable. 10 polypropylene 502 sheet-protectors are included and fit within the easy opening spiral mechanism. Made by PRAT Paris. Comes in a recycled individual carton box for additional protection.